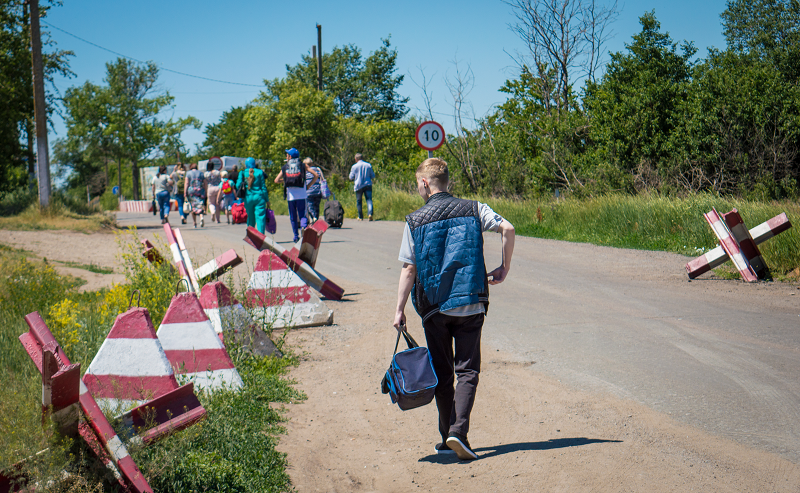 Crossing the contact line in the Donbas is often a challenge for many thousands of people. The ICRC helps improve crossing conditions for civilians by providing assistance to the entry-exit crossing points. In particular, our teams, together with the local Red Cross, rehabilitate the civilian infrastructure, ensure basic services for people waiting to cross the line of contact, and increase preventive measures. 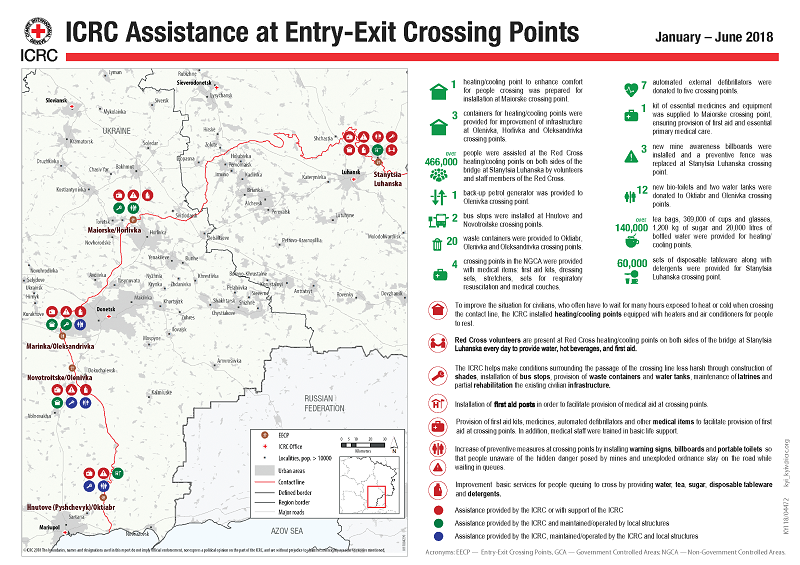 Check out our infographics “ICRC Assistance at Entry-Exit Crossing Points” (January – June 2018) for more details. Click on the picture for the full PDF version.